This entry was posted on Friday, August 28th, 2009 at 5:04 pm and is filed under Dyeing Tips & Recipes. You can follow any responses to this entry through the RSS 2.0 feed. Both comments and pings are currently closed. Brilliant! Jenny thank you so much for posting this. 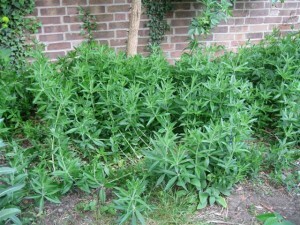 I am about to dig up four year plants so this blog is very timely! Previously I had dried and kept the roots for a year but this time I will try with fresh roots. This is perfect! We are starting to design the extention of our veggie garden for next year and I mentioned that I want to grow some madder. I read…your book maybe?? I can’ t remember, that one has to let the plant grow for 3 years before digging it up to use it for dyeing. So in a way, since one is using the roots of the plant which would mean those plants are gone, you plant it…let it grow for a few years… take it out, use it…and plant new ones…right?? Or am I missing something? I thought you were on vacations because bloglines wasn’ t updating your feeds and your blog seemed dormant. 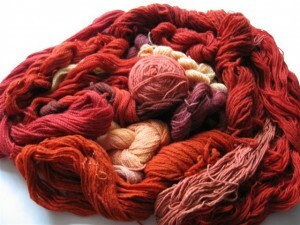 I came here to look for the link of your blog to pass it to a few people who were wondering about natural dyeing and I see you have been posting… Anyway, hope you are doing ok.
Not on the subject of madder. While catching up with the last weeks e mail messages I came across these links and thought you may be interested in one or two – sorry if not. The second post down is the beginning with us in the desert collecting the plants. I have a few more posts to go next week. 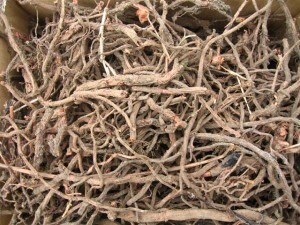 Your post on madder root was very interesting, thank you! Ok, a mistake in my blog address, I guess there is no www, I’ll try again.